This is the follow up part to the article I wrote about memory. I have questions that gnaw at me about the limits to our learning process. When a person dedicates his life to a special skill; would the accumulation of that knowledge use so much of a person’s memory and cognitive skills that additional skills become marginalized? Can a person become extremely competent at more than one skill? If not, why not? 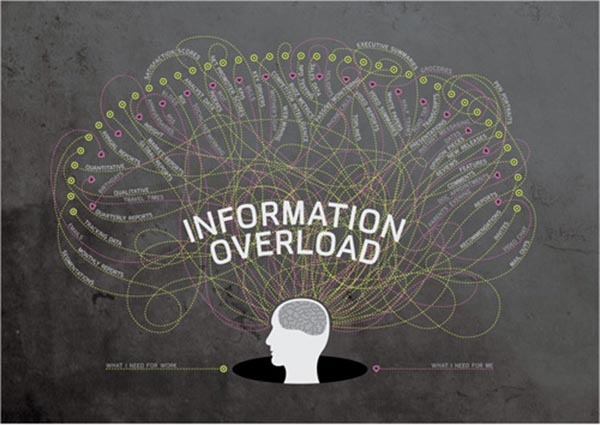 Is it a false assumption that our brains can get information overload? Skill sets are divided into different categories. There are literally thousands of specialties that a person can pursue. There are a lot of engineers specializing in specific disciplines, and it is probably safe to say that anybody who acquires the knowledge necessary for that discipline would be only mediocre at an additional skill set. Then there are the ‘jacks-of-all-trades’ that know a smattering about a lot of different skill sets but generally, not really an expert at any of them. The point is that there aren’t many experts in one skill set that is equally proficient in another. Why not? We have a lot of very smart people, some have a large mental capacity, but few can master more than one unrelated discipline. Humans can learn a lot about a specific subject, but only rarely do we find a person capable of expertise in more than one category. Progress creates additional information. The amount of information gained by the many disciplines is growing exponentially. Specialties are becoming more divided as discovery and research branches into even narrower, more focused specializations. In the not-too-distant future, as our knowledge base continues to expand, we will become more dependent upon our computers to make sense out of even simple abstracts. Our brains will also have to evolve if we are to solve evermore complex problems. As things progress, without more brain development, there will be no human that will be capable of absorbing enough information to fully understand the new working abstracts. Group think will pass for a while but soon even group think will be surpassed as the various mysteries of the different sciences reveal themselves. And, new discoveries will create a demand for a greater information base than even a group will be able to master. Our learning curve for understanding a particular subject still has to start with the basics. The learning curve for a particular subject is lengthening all the time because of the incremental advances made. We have to learn much more about a given subject than just a decade ago. Everything is much more complex than it once was. Understanding any technology requires the learning of its basics for an initial understanding of that technology, and also the conceptual understanding of the developments of that technology. As a technology gets more complex, the amount of material that must be absorbed to stay current pushes our ability. Our lifespan is increasing, and that is fine for giving us more time to hone our skills if only our brains were increasing their capacity to go along with our increasing lifespan. The future does not look bright for humans. Science fiction writers have been on to this problem for years. They have written many stories about mankind’s dependency on their machines and even suggested that we will turn to our machines to devise even smarter machines to solve ever increasing complex problems. It inevitably will become a world where the machines are smarter than humans – and that isn’t good. When that time comes, we will be relegated to the status of curiosities taking up space in a world that we don’t and can’t understand because it will have been designed by machines that are smarter than we. Go figure!